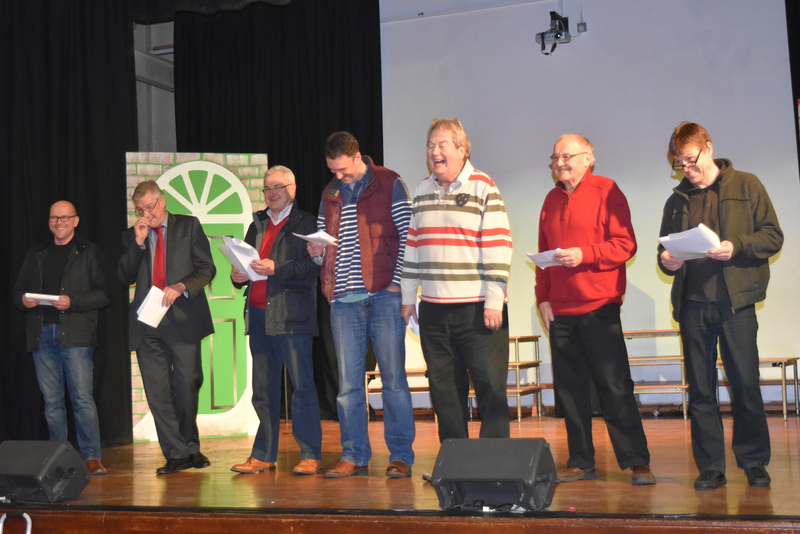 It’s Pantomime season in Market Weighton as The Market Weighton Community Players get ready for their bi-annual production which this year is Mother Goose. Pantomime is all about tradition – Oh Yes It Is! – and a feature of previous shows in the town is the involvement of local business people who are prepared to put their inhibitions to one side and take to the stage. This year they will be presenting a sketch called “The Urban Spaceman” written especially for the show by Bob Long, which miraculously fits perfectly into the Mother Goose plot. How will remain a mystery until performance night though! 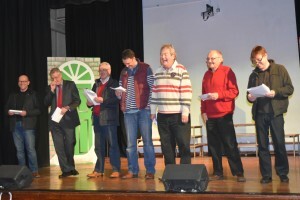 Our photograph shows familiar local faces enjoying one of the many gags whilst rehearsing recently. The script (written by John Morley) is very traditional and retains all the familiar plot lines and characters – Wicked Demon (Richard Henley); Fairy (Noreen Thorp); The Magic Goose (Bob Long) and Mother Goose (Peter Warner) not to mention Silly Billy (Adam Lloyd) and the Queen of Eggyolk (Carole Readman). The show is not only very funny but also lively with lots of music and dance routines arranged by Stage Manager, Clare Adrian and featuring cast members of all ages and from the local community. After producing Market Weighton Pantomimes for over 25 years, the well known team of Bob Long and Rosemary Waugh have handed the Directors baton to John Heaton. 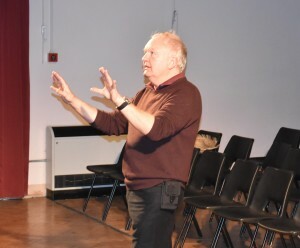 Familiar to local audiences from recent Community Player’s productions such as ‘Allo ‘Allo and Dad’s Army, John is a wonderful and talented Director who calls upon a wealth of experience from his long career in television. Tickets for the Pantomime are now on sale in Market Weighton from The Post Office and The Paper Shop and performances are at The Market Weighton School on Thursday 9th; Friday 10th and Saturday 11th February. The MWCP are looking forward to once again entertaining (and involving) a packed hall at the School. Oh yes we are!